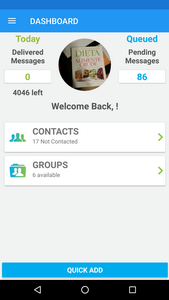 Cross-platform mobile application for Android and iOS. 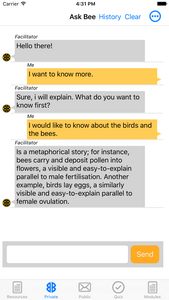 An application design for a school course, with lessons, articles, quizes, crosswords, chat in class and in private with a mentor. 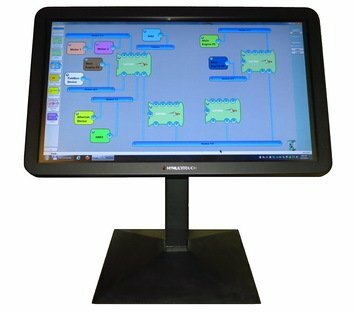 Multitouch operator console that provides visual feedback and allows changing the process setpoints and parameters. 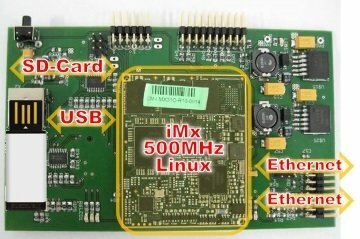 The software runs on an linux-based embedded. 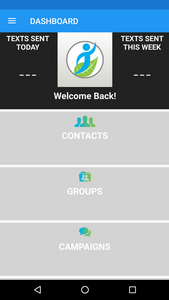 Android application that allows sharing location with friends and family. 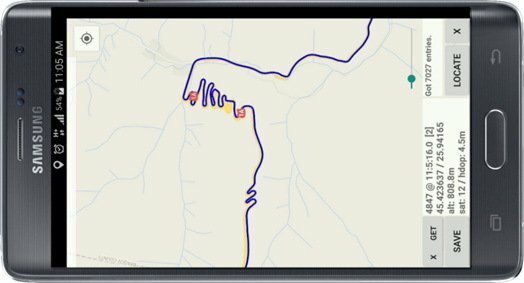 Unique features to allow position and track visualisation with selection for time interval and dilution of precision. 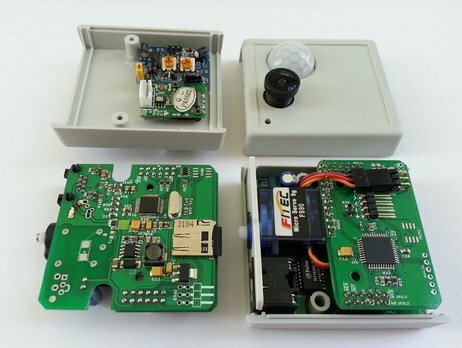 Waste water monitoring system, collecting water parameters: temperature, depth and conductivity. 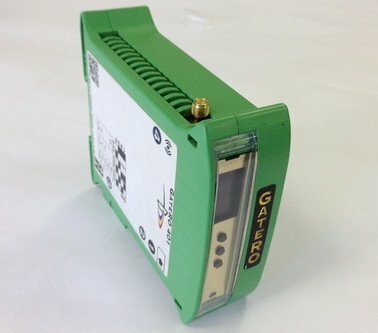 It works autonomously, from its own battery supply, stores data internally and uploads it periodically using GSM. Data is stored in the cloud, and accessed numerically and graphically from a web interface. 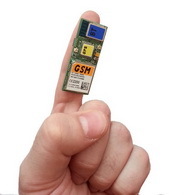 Miniature GPS tracker board, using GSM for data transmission, Bluetooth for communication with a phone, accelerometer for theft detection, memory storage, battery management system, interface for e-bike systems. 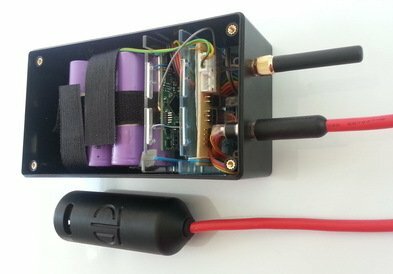 It was designed to fit inside the bike metal tube and to use external antennas. 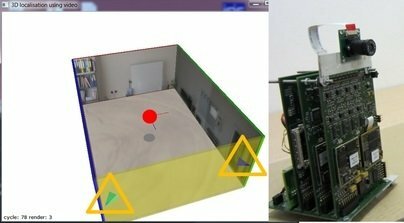 Construction of a network of 3D vibration sensors that can be used in a variety of environments: in industrial equipments that incorporate large motors, in vehicles, spread around the chassis, motor and suspensions to evaluate mechanical aging of components and pavement status. 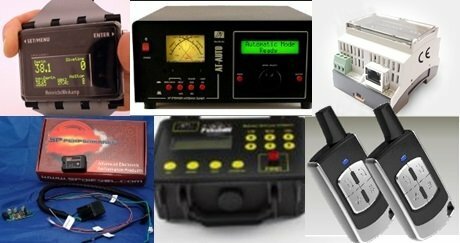 A custom communication protocol was implemented for high speed communication, synchronization and data acquisition. 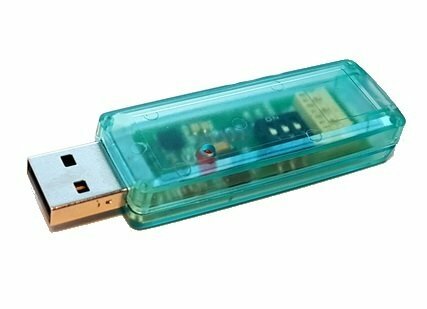 All the measurements are collected through USB to a larger embedded system where the signal processing algorithms are running. Network composed of multiple autonomous, compact surveillance devices. 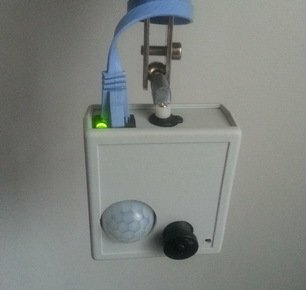 Devices are equipped with video camera, infrared detector, storage, passive PoE, Ethernet communication with peers. 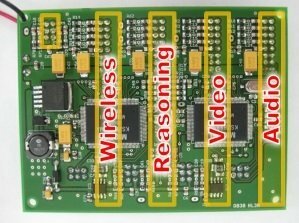 Each device works autonomously, doing its image processing and motion detection inside the chip, auto rotates to the area where intrusion was detected, stores video feed both on the board storage and on the server and communicates with its peers about detections and alarms. 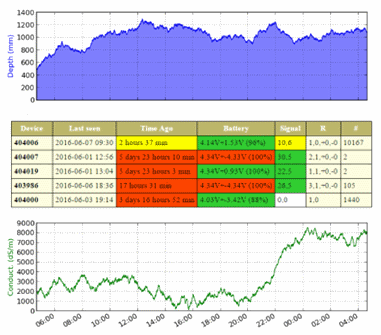 The layout of the network and manual monitoring is done from a centralized application running on the PC. Mobile game built using Unity3D engine. 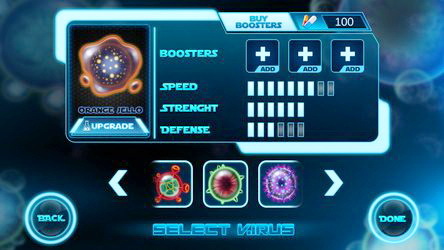 It is played by sending your troops to conquer enemy cells, defend your cells by bringing in reinforcements and activating powerful plugins. 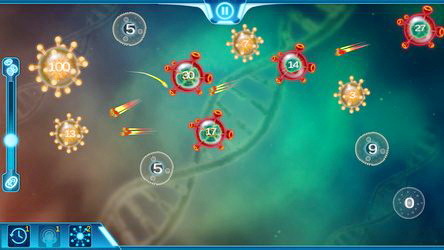 The points earned at the end of the level can be used to enhance your abilities in order to combat progressively smarter enemies. 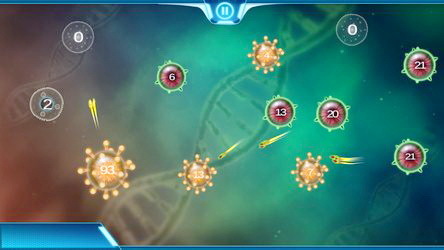 All levels offers a fresh experience, being dynamically generated. 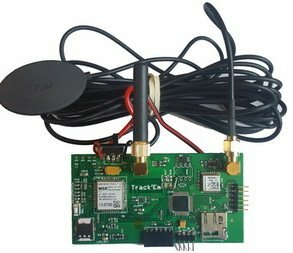 GPS tracker system, using GSM for data transmission. It features SD-card storage, bluetooth and external antennas. 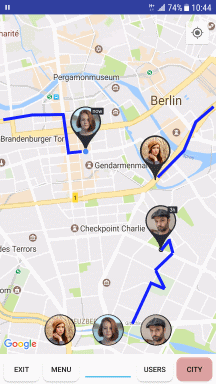 The collected data is uploaded to an application in the cloud, and can be accessed through an Android application that is used for online and offline tracking of the device. Multiprotocol gateway for industrial and naval environments, featuring: AM335x processor, 2 Ethernet ports, one isolated port configurable as RS485, RS232, RS422, graphical front panel. 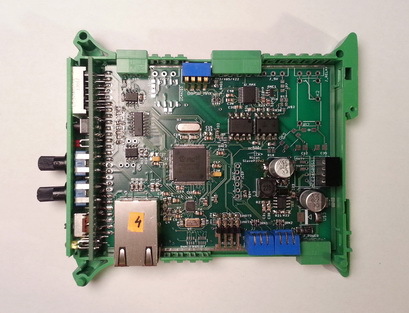 It has 4 other serial interfaces (configurable as RS485, RS232), 2 CAN interfaces. 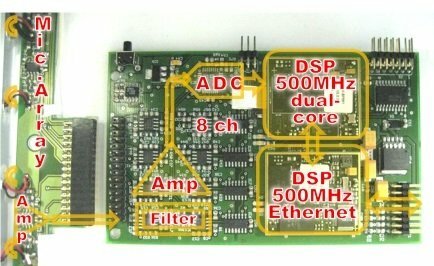 The device can be programmed from a high level interface and route data between different types of hardware and software protocols. 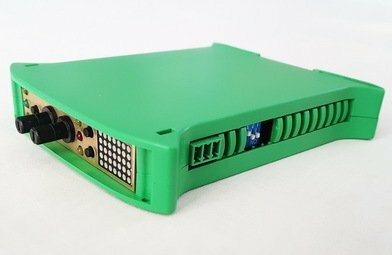 Multiprotocol gateway for naval and industrial environments, featuring: AM335x processor, 2 Ethernet ports, one isolated port configurable as RS485, RS232, RS422, graphical front panel. It has GSM communication capability, with optional GPS. 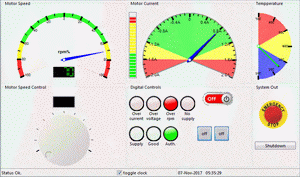 The device is certified and is currently used for remote monitoring ship parameters. 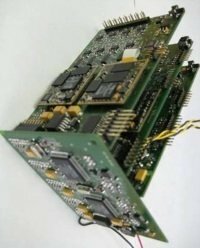 Peripheral device for industrial environment, featuring: PIC32 microcontroller, Ethernet port, RS485, galvanic isolated serial port configurable as RS485/RS232/RS422, isolated CAN port, interface with matrix display, analog and digital user controls. 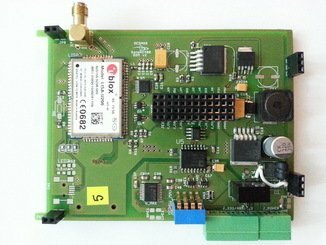 Used with Modbus RTU and Modbus TCP. 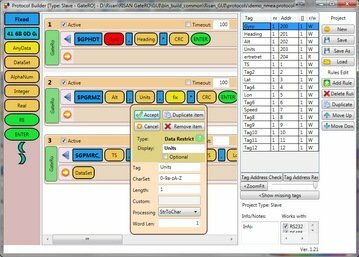 Software application that allows graphical description of custom communication protocols, using drag&drop components. 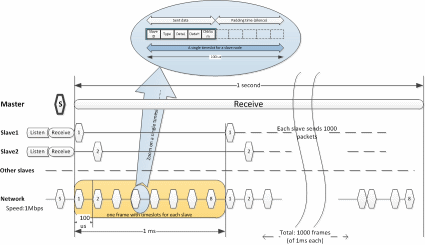 The visual protocol description is transpiled and transferred in an embedded device and allows real-time packet decoding of received data and encoding of transmitted packets. 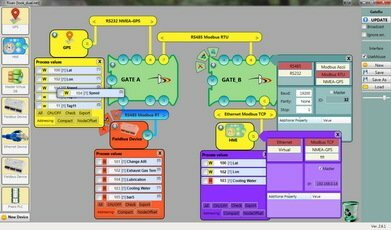 A multitouch user interface that allows visual and interactive construction of a network of industrial devices (mirroring a physical architecture), intuitive touch&drag sensor data across the network and drop it to the destination device. 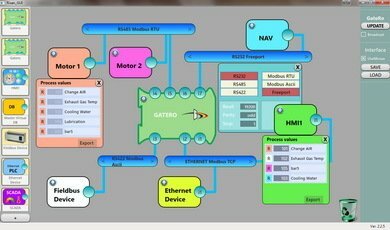 At the end it generates the of routing rules and uploads them to a GateRo physical embedded device. 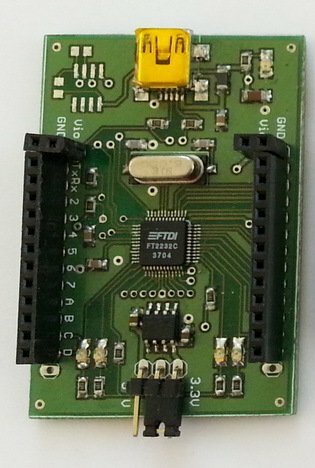 Breadboard development interface, providing power supply and serial communication access to the microcontroller under test. 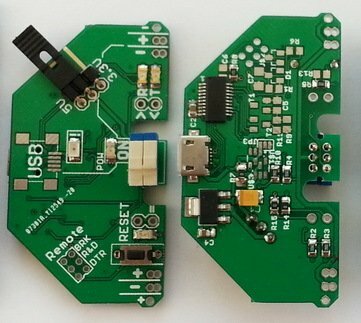 Variant with selectable 5V and 3.3V supply, remote and local reset options. 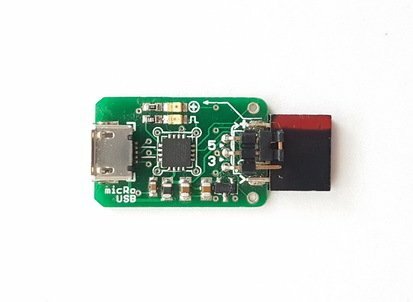 Compact USB to UART converters featuring easy to select supply voltage (5V or 3.3V) for the connected embedded system. 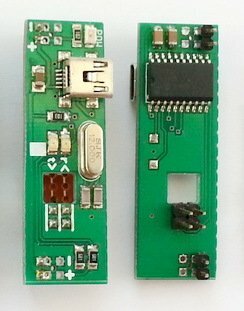 Variant with high current 3.3V supply and selectable remote reset options. 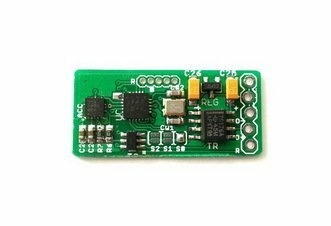 USB to RS485 adapter for communication with industrial equipments, featuring independent activation options for bias and terminator resistors, 5V bus supply for low power peripheral devices. 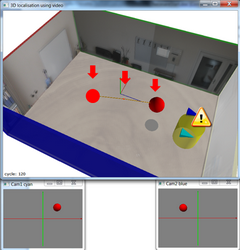 System for localisation of an object of interest in 3D space using stereo vision with video sensors distributed between interconnected embedded systems. 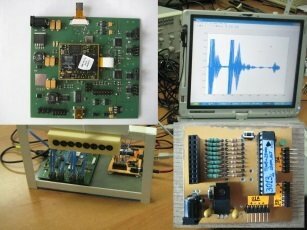 Image acquisition and processing is done in each embedded system in real time. 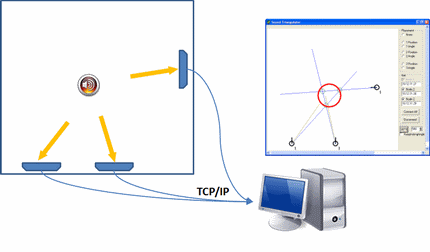 The positions detected by each device are sent to an application on the PC where are centralized and displayed in the simulated 3D environment. 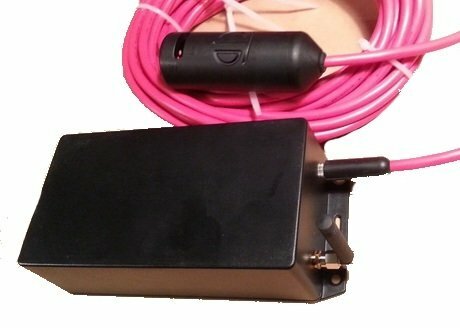 Microphone array embedded device used for detecting the direction of sound. 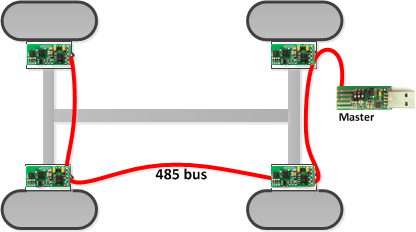 Multiple devices are used in different locations, interconnected in an Ethernet network. The direction information from each device is continuously gathered by a PC application that triangulates the position in space of the emitted sound. 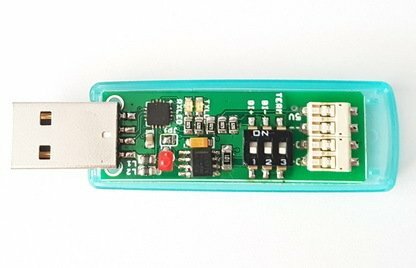 Support tool featuring dual USB to TTL UART adapter, for two channel data collection. 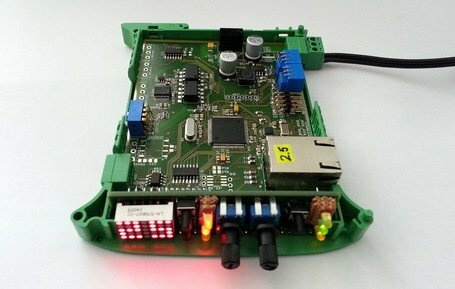 Portable device that allows in the field programming and configuration of the main unit for automotive remote starters. 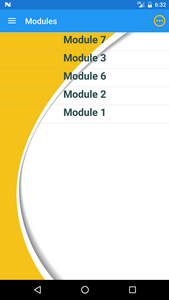 It has deep hierarchical menus that allows fine tuning of all parameters. It can also update the firmware of the remote starter through the integrated bootloader by using the storing a local copy of the firmware. 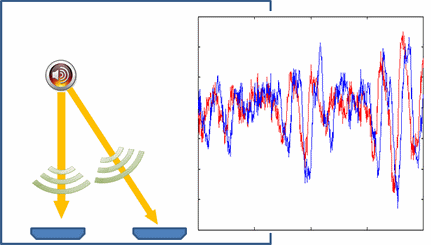 Embedded platform that uses multiple sonar emitters to create a programmable directional ultrasonic wave; the reflected signal si acquired using multiple sensors and processed for object detection and environment mapping. 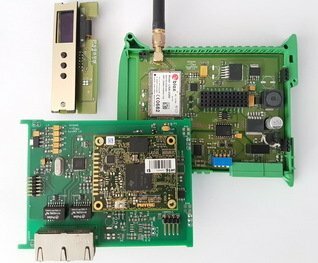 Design for complex embedded systems that process information individually and are connected in a smart network used for civil security monitoring. 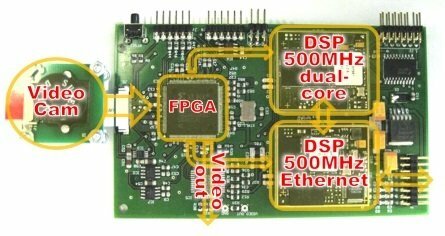 A single embedded system consists of five boards that contain 5 Blackfin DSP 500MHz processors (some of them dual-core) one Freescale iMx31 processor running Linux, one FPGA, 2 Ethernet switches, digital video in, analog video out, 8 channel ADC, USB & SD-card storage, video camera, audio array sensors. 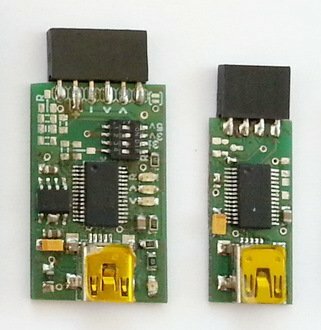 Custom applications and microcontroller software for various beneficiaries that needed firmware upload in their commercial products. 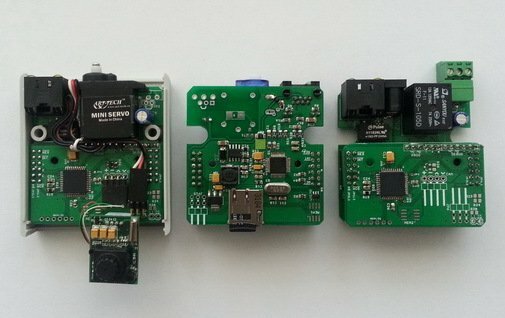 All applications are different and developed independently, but all use as starting point the same bootloader protocol. 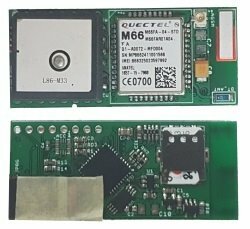 Among the bootloader features are: automatic update from internet of the latest version, firmware encryption, signed bootloader, signed firmware, configurable parameters. Some of the final products have pictures attached. 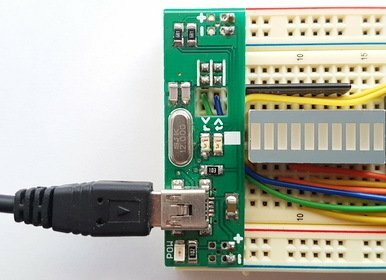 Bootloader for PIC microcontrollers (allows updating of firmware without an external programmer). 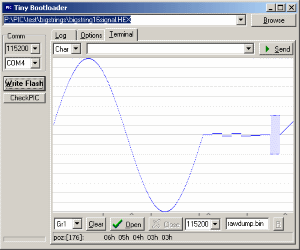 It is free software, smallest in size (only 100 words), has fast upload, includes terminal and GUI tools. 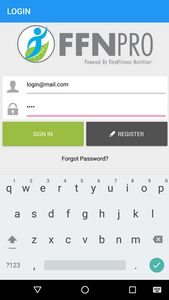 It is currently included in many commercial and open sorce devices. 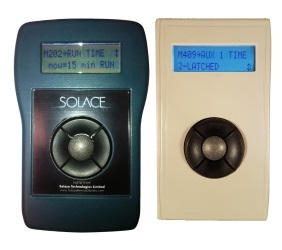 The free code and very high popularity gave rise to tens of clones and alternative interfaces. 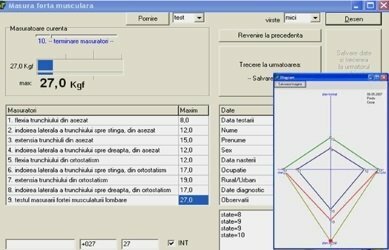 Software for data acquisition and display for a muscular measurements device. 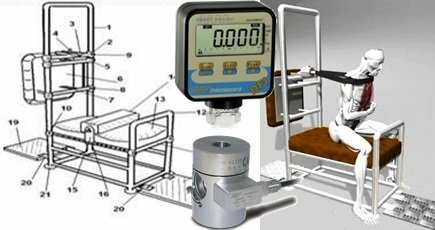 The device for assessing the muscular imbalances at trunk level works by measuring user force in different configurations; the data from force sensors is data captured and used by the application. The device is patented and it was used to assess spine stability and asymmetry for pupils. 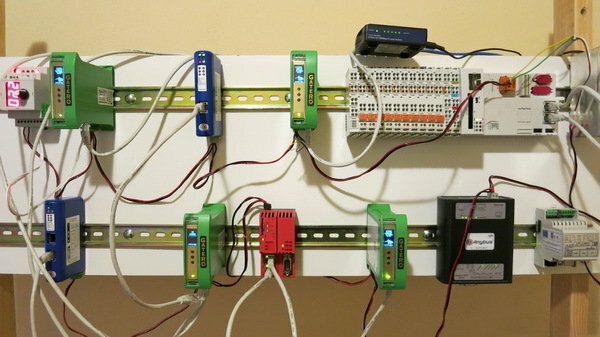 Software application that allows remote operation through Internet of a programmable logic controller that is connected to a manipulator; the PLC is programmed in its native language and the correct operation is observed through a video feed. 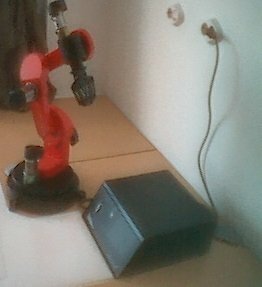 Software application that interfaces directly to a fixed robot manipulator allowing visual control through direct and inverse kinematic, and remote teleoperation through Internet with video feed. 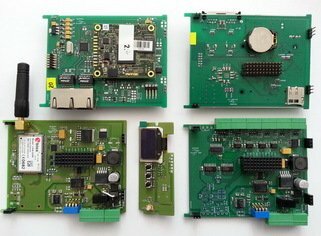 Projects that include design and construction of an embedded system, including hardware and firmware. 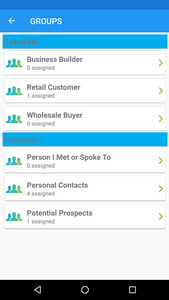 Application software and user interface developed for Windows operating systems. 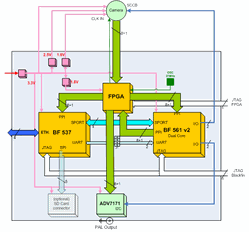 Application software written for an embedded running under linux operating system. Applications written using web technologies providing the frontend and applications running in the cloud providing the backend. Projects worked with the University, mainly focused on research and funded from grants. 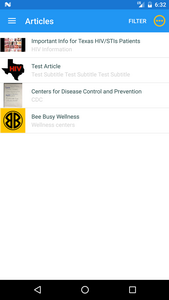 Mobile software written for Android phone or tablets.